My role in supporting Hawaiʻi Papa o Ke Ao: Formalize commitments that Kapiʻolani Community College ensures Native Hawaiians are in decision-making roles and Hawaiian values play a significant part in decision-making at the College. Identify and build community partnerships with Kapiʻolani Community College that advance Native Hawaiian education in its support of Hawaiian students, cultural practitioners, faculty, staff, and administration. 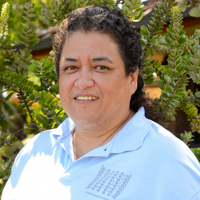 Create a Native Hawaiian place of learning at Kapiʻolani Community College.